I sat by this open window at church this morning because a nice breeze was coming through. I have seen this scene of forgiveness on many church windows over the years, but today was the first time my initial thought was, ‘Hello, high five Jesus.’ (sigh) All childhood innocence is officially gone. This is day 272 of Photo 365. 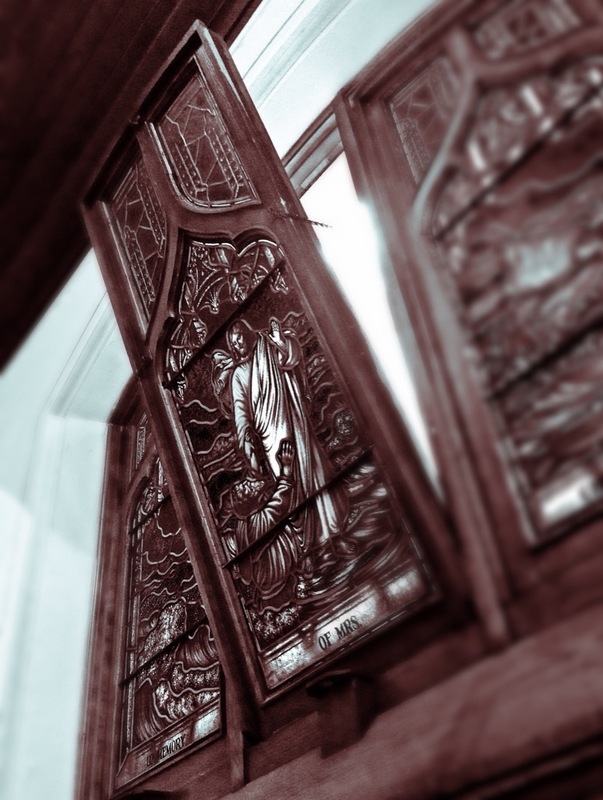 This entry was posted in Photography and tagged St Paul Reformation Lutheran Chirch. Bookmark the permalink.